Breakdown is a unique game that deserves to be played. Breakdown is a unique game that deserves to be played at least once. Its take on the first person perspective is very well done and merits some appreciation. There are very few games that have the first person perspective played out like this, which is unfortunate. The latest one I can think of is Mirror's Edge. So, without further ado, let's do a breakdown on this game. Graphics: The graphics are nice and clean and easy on the eyes. Of course, it does not compare to modern graphics, but they are still pleasant. I know that there are individuals out there who cannot play a certain game because its graphics are too 'old.' If you are one of those people, it's a good idea to watch some gameplay video to get an idea of how they are. But they are clean and varied. The player goes through many levels and experiences different color tones -- it's not as if the game has one color intonation. The player goes through dark, bright, 'snowy', and many more levels and the graphics in all areas are attractive. Be sure to remember that this is a game from 2004 and one must judge its graphics accordingly. Sound: Very well done and it fits the mood of what the player is currently doing. For instance, if you are fighting enemies, it will be energetic; if you are exploring, it will be mellow. The sound effects of guns and other weapons are done very well. Furthermore, the sound effects of your fists, when they hit something, is also done very well. The voice over for the characters is excellent. So, in the end, the sound is very well done. Gameplay: Unique is the best way to describe the gameplay. 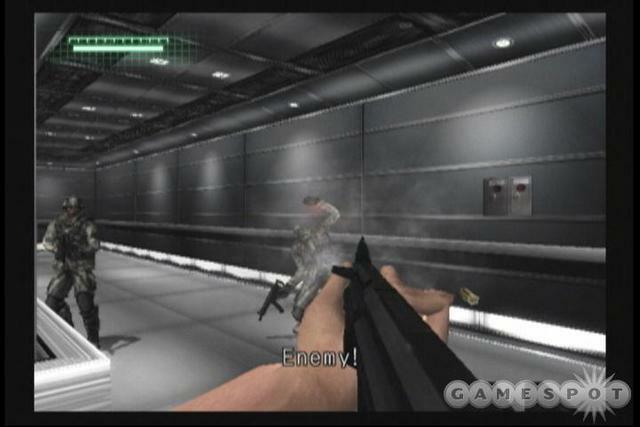 The player has two ways of fighting: guns or his fists. While you will be using your guns quite often, your fists will be your main weapon. You can lock on to an enemy with the A button and switch targets with the same button. After locking on, if you have a gun, you press the right trigger to shoot or, if you have your fists equipped, you can punch. There is a good enough variety for the guns and I don't want to spoil anything here because they are story related. Likewise, you have different combination for melee attacks and you get skills that you can use in exchange for, how should I put it, magic points (there is a bar underneath your HP bar that can count as your "MP" gauge). This is all done through the first person view. Now, you might say "So what?" Well, it's not easy to pull off melee combat in first person view, but Breakdown succeeds. If you get hit and fall on the ground, your view will 'fall' down with you. This, in turn, immerses the player into the game more. The interaction with the environment is also done with this view and the character will walk up to an item, pick it up, and (if the player wants), use it. Health is recovered by picking up ration bars or juice and drinking it. This means that recovering health in combat is very difficult or next to impossible using these items because enemies can strike you (there is another way to recover health but I don't want to spoil it since it involves the story). This makes the game realistic and it sure is. You can die by taking few strikes or bullets from enemies, so you have to be careful as how you should engage the enemy. Plus, there is no health regeneration, which brings me to my next point. This game is very challenging, even on normal. This is a good thing, but there are some areas that were so excruciating that I was about to give up. These areas don't happen that often throughout the game (maybe 2 times?) which is fortunate. But my experience can be quite different from others and there might be individuals who will get through areas that I found troublesome with ease. But still, the game does provide a good challenge. Just don't give up on it because the storyline is outstanding. That's what kept me playing until the end. It's truly amazing and worth playing the game for. So, the game-play is excellent in that it combines shooting with successful melee combat, with variety in weapons and the melee skills. This, in turn, immerses the player into the game world and that's significant. Replay Value: I just completed the game and I don't know if I'll play it again anytime soon. 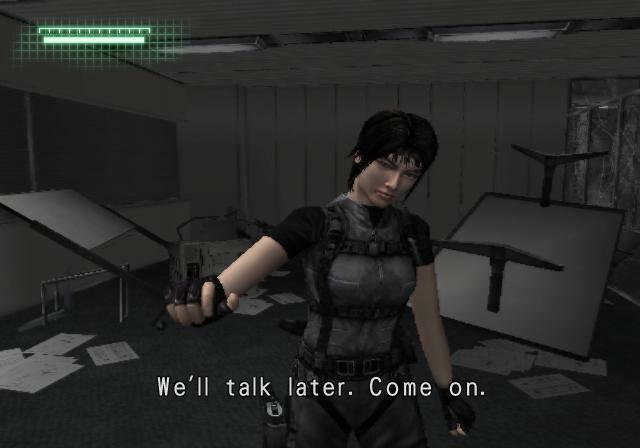 There are harder difficulty modes, but that's it in terms of replayability options. I will definitely pick it up and play it sometime in the future, but not anytime soon. But, like I said before, someone might really love the game and replay it again very soon. Learning Curve: Not that big of a deal. It will take maybe 10-15 minutes to learn the basic combos of your melee attacks, maybe even less. The controls are quite straightforward and not bothersome. In the end, the game is outstanding, with its combination of shooting and melee, all done from the first person view and done in such a way that it tremendously immerses the player in the game world. The story is fantastic, probably one of one favorites. It makes you care for the characters. 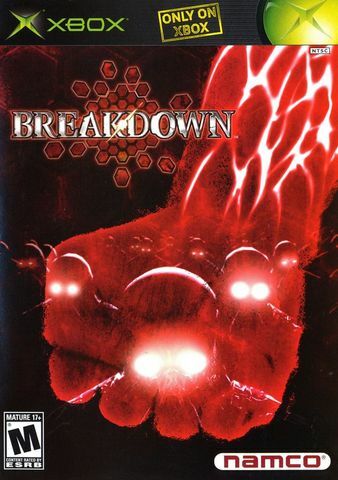 Amazing stories in video games are hard to come by gamers should cherish Breakdown's admirable and captivating narrative. This game deserves to be played, maybe just for its story alone. So go ahead and give it a shot. If you like action games, I'm sure you will not be disappointed. Just don't give up, because it can get challenging during some parts. It's worth it just for the story.